The Bombardier CRJ1000 Engine is based on the General Electric CF34-8C5 series of engines. Two of the following engines are mounted in the tail section of the CRJ1000 regional jet. The CRJ1000 actually has 3 options for engines according to the CRJ1000's FAA type certificate and press releases from GE Aviation. The CRJ1000 Engines are the GE CF34-8C5, CF34-8C5A1 and the CF34-8C5A2 turbofan engines. Bombardier has been using the GE CF34-8C5A1 Engine as the examples in marketing materials. The only difference between the three engines is the normal takeoff thrust which greater on the -8C5A1 and even more greater on the -8C5A2. This difference is listed/marked below in the specifications. 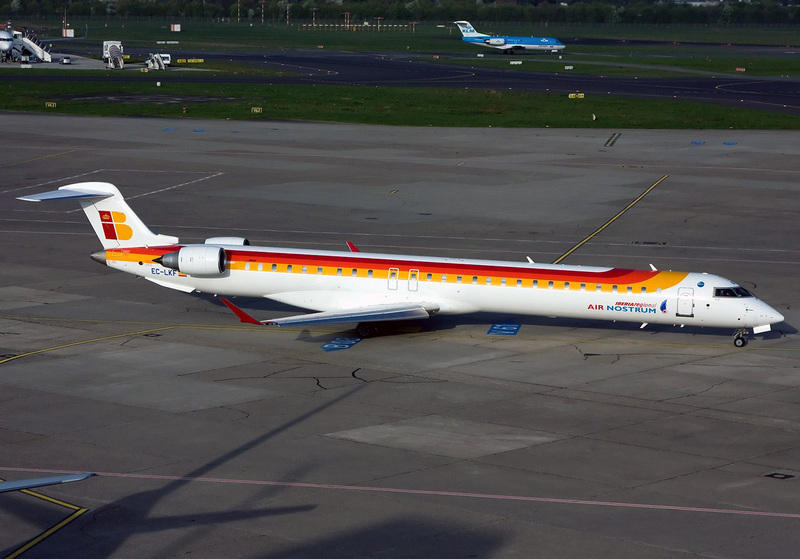 Also note that the CRJ900 Engines are also the CF34-8C5 and CF34-8C5A1 engines. Weight: 2,780 pounds (With residual fuel and oil). Fuel: GE Jet Fuel Specification No. D50TF2, current revision See GEK 105094 (CF34-8C1/8C5 models). The Bombardier CRJ1000 engine is also called the Bombardier CRJ1000 NextGen engine, Bombardier CL-600-2E25 engine, Canadair CL-600-2E25 engine, Bombardier CRJX engine, Bombardier CRK engine, Canadair Regional Jet 1000 engine or the Bombardier CRJ 1000 engine / CRJ-1000 engine (with a space or a dash) due to the various names for the regional jet aircraft. Bombardier CRJ1000 Air France HOP!